Encompasses all user interactions with a product. To put it simply, UX or user experience is the general feel a user gets when interacting with a product. Think back about your own experiences where you were looking to buy a product from a website and how easy or difficult it was to find the product and perform the checkout process that follows. Amazon is a great example of good UX in terms of streamlining with their “buy with 1 click” option for checkout. It demonstrates great UX because the whole process of finding a product and entering all required personal information can be tedious but amazon counters the process with just the click of a button. 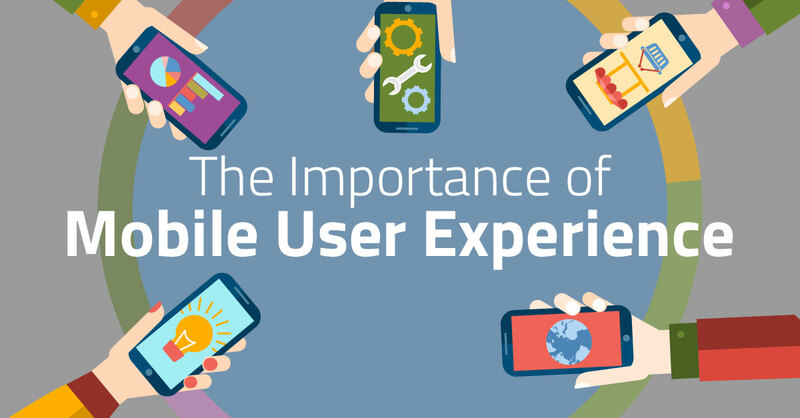 Mobile UX is important because the mobile devices are a growing technology that is steadily being used more and more. The reason for this is that it is easy, fast and readily available compared to the conventional laptop or desktop. Picture yourself standing in a long grocery line waiting to checkout. You then take out your phone to check social media app notifications. You then see something interesting and proceed to ‘google’ it to find out more information. Because google is mobile-friendly, the website is easy to navigate and use on the individual’s phone. This google statistic demonstrates how users are rapidly adopting and using mobile devices. Google recently began rewarding mobile-friendly websites ‘mobile-friendly’ tags on search pages. This in turn means that developers and designers of products need to be ready to accommodate these mobile users because the amount of browsing, interacting and buying on devices will continue to increase. The caveat of this is that the screen size for these mobile devices are tiny compared to laptops or desktops. It is much more difficult to convey all desired content into a website while still maintaining readability and clarity for such small screen sizes. This is where designing mobile-friendly websites with UX in mind comes into play. Having mobile UX in mind, web designers and developers can collaborate and create products that should potentially be very clear and easy to digest in terms of their content, layout, and style. Here at Ready Artwork, the programmers develop under the philosophy of mobile-first. We create original websites for mobile screen sizes that our designers mock-up first and then transition the website into desktop and tablet format. This way we ensure that the mobile viewports will all be perfect and our websites that we develop for our clients will convey the messages they desire across all screen sizes. 5. What to Take Away From This? The TLDR; of this blog post is that mobile UX is important because of the number of users that are becoming more and more active on the different mobile platforms. If a company wants to ensure that their online presence is in their best shape, they definitely should consider having a mobile-friendly website not only for the sake of their audience but also for SEO purposes. Because honestly, nobody really wants to look a website designed for desktops on their mobile phones. If you’re looking to improve your user experience on your website, contact us today or give us a call at 626.400.4511!